When homeowner Pam Bosch was looking for ways to remodel her 1960s home in Bellingham, Washington, she was determined to renovate the older home with energy efficient and non toxic materials. Through her research into various potential sustainable materials, she found that hempcrete, a hemp-based render made out of a mixture of hemp, lime and water, would be the best option. 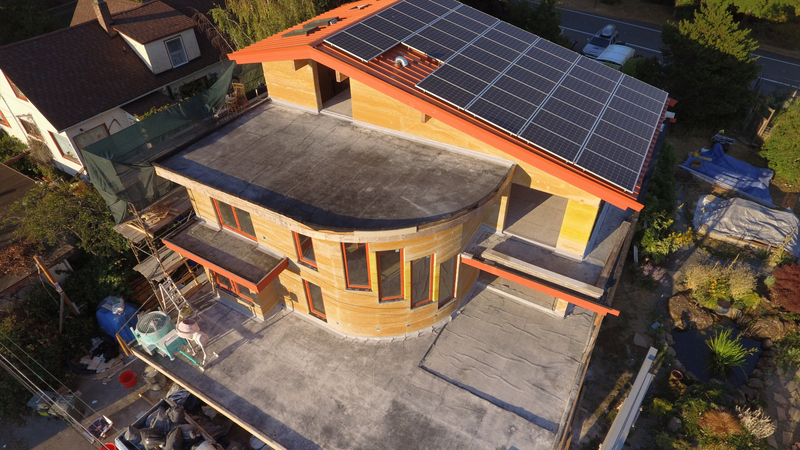 Working in collaboration with Matthew Mead from Hempitecture, the now solar-powered Highland Hemp House was reborn and constructed with an insulative hempcrete thermal envelope. 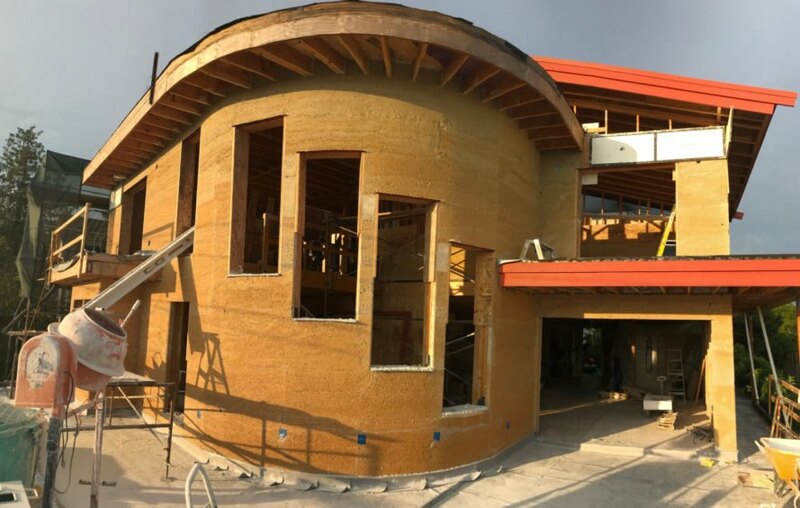 When inspired to renovate her home using sustainable, eco-friendly and non-toxic materials, Bosch decided to work with hempcrete, a bioaggregate building material that is derived from the woody core of the industrial hemp stalk. When combined with hydrated lime and water, it solidifies by absorbing carbon dioxide, resulting in a concrete-like material. However, when compared to concrete, hempcrete is a more sustainable and affordable material, which is estimated to absorb about seven pounds of CO2 per cubic foot. To begin the process of remodeling the three-story home, Mead worked with local contractors to create a new framework suited for a hempcrete wall system. 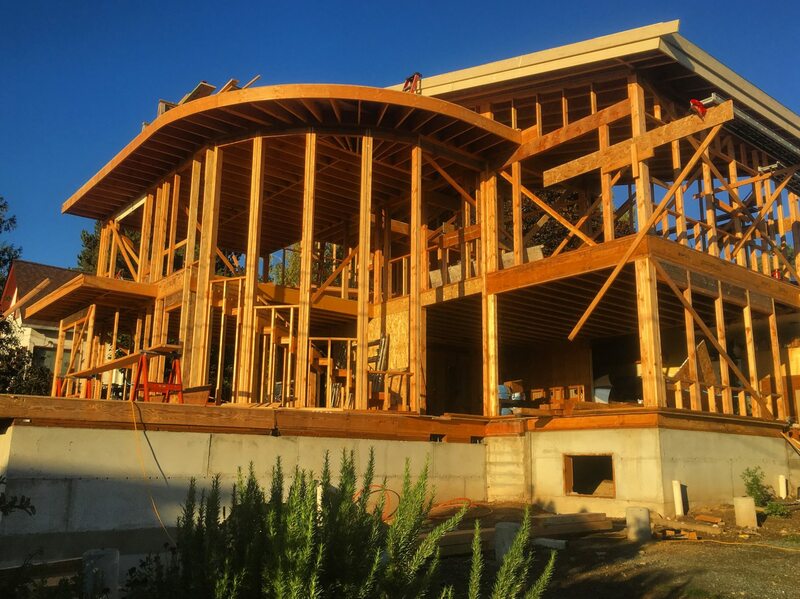 Once the home was primed for its new envelope, the next step was to create the hempcrete material by mixing 12,000 pounds of hemp aggregate with 23,000 of lime binder. When mixed at a specific ratio, the material solidifies, creating a concrete-like texture. The material was then cast around the home’s frame, forming a monolithic wall. From a distance, the home’s construction process may look like any other home renovation. 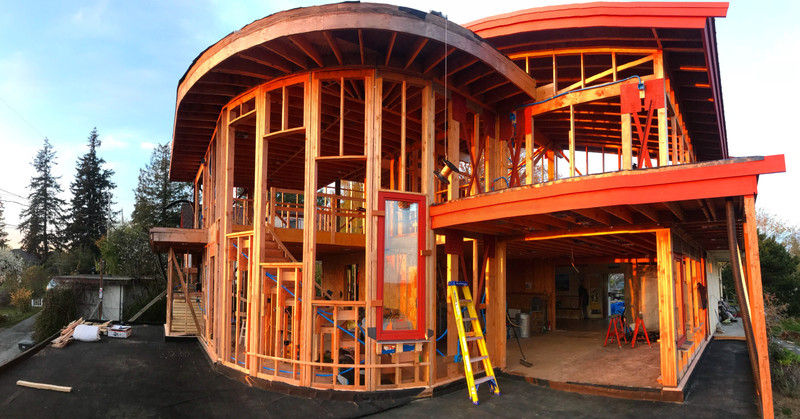 However, in working with hempcrete, Pam Bosch’s madeover Highland Hemp House is insulated with a material that is fireproof, breathable, resistant to mold, pests, and regulates moisture. Additionally, the new thermal envelope of the home is estimated to sequester about 15,372 pounds of CO2. The 1960s home was remodeled with energy efficient and non toxic hempcrete. 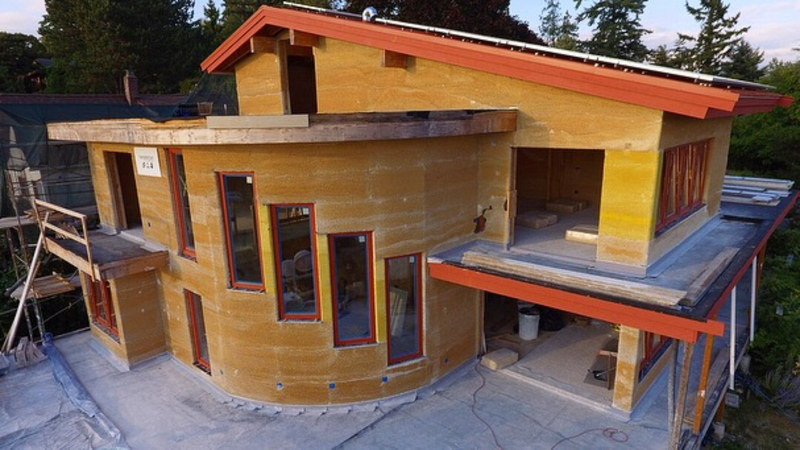 The home was wrapped in hempcrete to give the older home a better thermal envelope. Matthew Mead from Hempitecture helped guide the renovation. The hemp wall creates a home that is fireproof, breathable, resistant to mold, pests, and regulates moisture. The Highland Hemp House also operates on solar energy. The home was framed with a new hempcrete wall system. The new frame was covered in the hemp composite, forming a monolithic wall. The home's finished renovation will include plenty of windows. The home is able to absorb about 7lbs of CO2 per cubic foot.